Have you ever seen the smartphone market and wondered when a phone would come out that would not be outdated in a year or so? 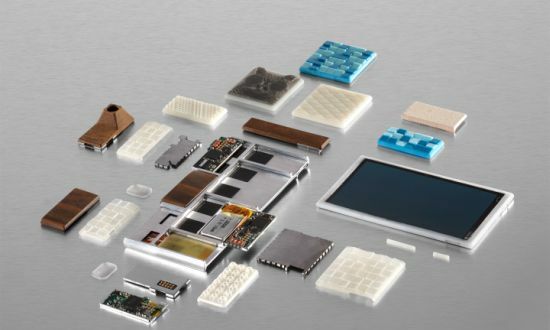 Project Ara will do that by bringing the ability to customize your cell phone experience like how you choose parts for your computer. If you've ever wanted to replace your phone but not your contract, or your contract makes you keep your phone for a set period of time, this is something for you. The choice to say get a screen that's less than the best with the most powerful CPU, for example, is a precedent not seen in the Feature Phone vs. Smart Phone decision for the consumer. This appeals to the people in a larger sense rather than segregating them into cutting edge phones that cost large amounts of money every year or outdated "feature" phones that are easy to use. Google's entry level version with basic functions cost $50 to make, so it will be accessible to those without wallets and compare to expensive phones like HTC's One with upgrade capabilities. Coming out of Motorola's "Advanced Technology and Products Group", it's something Google held onto when they sold Motorola to Lenovo. They want to "reinvent the smartphone", and this 'Lego' style build will have any one be able to build one with parts they can afford. I believe the older generation will be able to use it efficiently because of how simple it would be to put together instead of buying "tracphones" or something similar with functionality missed in new models sold around the world. They are holding a developer conference at Silicon Valley’s Computer History Museum on April 15-16th and hope it becomes more than a niche product. There are two other conference dates set for July and September though the exact day is not known yet. What do you think of this new idea for the cell phone? This is historic to me because the day when more options for smart phones is coming with restrictions becoming a fading idea. The precedent is the most important thing for a standard set by Google, it will be nice to see how the modular design is used throughout advances in the future. I'd like to see a modular gaming console because of exclusive titles, and the recent line is outdated already tech wise. We could learn a lesson from Google when thinking about consumer products differently and the large impact small changes in technology has on society.